Peyton Conway March was born in Easton, Pennsylvania, on 27 December 1864. He attended Lafayette College from 1880 to 1884 and then graduated from the United States Military Academy in 1888. He was commissioned an additional second lieutenant and assigned to the 3rd Artillery. Later that year, he was made a full second lieutenant. March was stationed in Washington, D.C. and California from 1888 to 1896. He married Josephine Smith Cunningham in 1891. In 1894, he was made a first lieutenant and assigned to the 5th Artillery. From 1896 to 1898, he attended Artillery School at Fort Monroe, Virginia. March commanded the Astor Battery in the Philippines during the Spanish-American War. In 1899, he served as an aide to General Arthur MacArthur. That year, he was made a major of the 33rd Volunteer Infantry, with which he fought against the Philippine insurrectionists. In 1900, he received a promotion to temporary lieutenant colonel before reverting to his permanent rank of captain in 1901. From 1903 to 1907, March served with the new War Department General Staff and also as a military observer of the Russo-Japanese War. In 1907, he was promoted to major. From 1911 to 1916, he served successively as the adjutant of Fort Riley, the Department of the Missouri, the Central Department, the 2d Division, and at department headquarters in Washington, D.C. In 1916, he was made a colonel and commanded the 8th Field Artillery along the Mexican border from 1916 to 1917. In 1917, March was made a brigadier general and then major general. He commanded the First Army and non-divisional artillery of the American Expeditionary Forces. Later in 1917, he was promoted to major general in the Regular Army. From March to May 1918, he was the acting Chief of Staff of the Army before being promoted to temporary general. He served as Army Chief of Staff from 19 May 1918 to 30 June 1921. 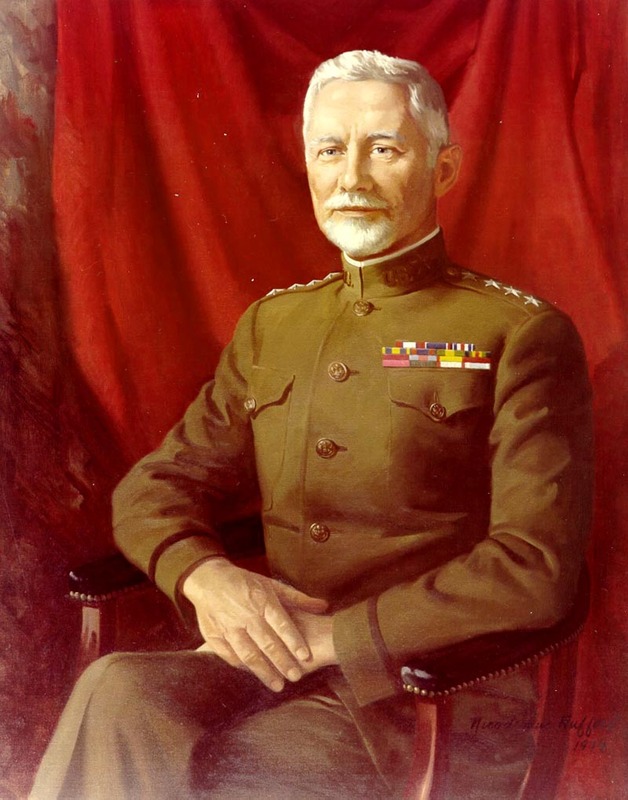 During his time as Chief of Staff, March established the primacy of the Chief of Staff in the Army hierarchy; he supervised the buildup of American forces in the First World War, centralized control over supply, created an Air Service, Tank Corps, and Chemical Warfare School. He retired as a major general and then advanced to general on the retired list in 1930. In 1923, he married Cora V. McEntee. March died in Washington, D.C., on 13 April 1955.